Business Secretary Greg Clark has suggested that business rates ‘could be changed’ in order to help high street retailers in the UK. Experts have stated that rising business rates, increasing staff costs and the rise in popularity of online shopping have created a so-called ‘perfect storm’ for UK retailers. Speaking at the Conservative party conference, Mr Clark said that the Treasury is carrying out a review of business rates, and that he believes that high street retailers ‘make a big contribution to the community, and to villages, towns and cities’. In the week before his first Budget, the Federation of Small Businesses (FSB) continues to lobby Chancellor Philip Hammond on the controversial issue of business rates. The FSB has released a survey, which found that 36% of small firms expect to see their business rates increase when the re-evaluated rates come into effect from 1 April. Of those, 44% of FSB members say that their business rates will eventually rise by more than £1,000 per annum, while 21% will see their annual bill increase by more than 40%. According to the FSB, the business rates rise could have significant consequences for the growth of affected small businesses. It has claimed that a ‘significant proportion of small businesses across Britain are preparing to reduce investment and staff costs once business rates rise’. 54% of firms facing a rise expect profits to fall, while 55% plan to reduce, postpone or cancel investment in their business, the survey revealed. Mike Cherry, National Chairman of the FSB, said: ‘The business rates system is an unfair, regressive tax which hits small firms before they’ve had the chance to make their first £1 in turnover, let alone profit. Our survey shows the delayed revaluation harms too many small businesses who face unsustainable and unaffordable rises. The Chancellor will present the 2017 Spring Budget on Wednesday 8 March. We will be keeping you up-to-date on the key announcements, so please visit our website regularly. Ahead of his first Budget speech on 8 March, Chancellor Philip Hammond has told Conservative MPs that he is ‘listening’ to concerns about an imminent re-evaluation of business rates. At a recent meeting of the Conservative backbench 1922 Committee in Westminster, a number of MPs raised concerns about businesses in their constituencies facing significantly increased costs when the new rates come into effect in England on 1 April. Revaluation processes are also underway in Scotland and Wales, with Northern Ireland having carried out a revaluation in 2015. Conservative Andrew Bridgen, the MP for the North West Leicestershire constituency, has said that some businesses in his area are facing ‘eye-watering’ rises, with one firm’s monthly rates increasing from £50 to £700. Along with others, he has called for Mr Hammond to take action on business rates in the Budget to avoid high street business closures and potential damage to the economy. However, a spokesperson for the Department for Communities and Local Government insisted the rate changes were ‘fairer’ and ‘will mean businesses in 80% of council areas will see an average fall in their business rates bills due to revaluation before inflation’. Meanwhile, the Federation of Small Businesses (FSB) and Camden Town Unlimited Business Improvement District have called for the Chancellor to make a special London business rate concession. Their survey of businesses in London found that the average micro business (businesses with less than ten employees) will be paying £17,000 in business rates in April 2017, and that 74% of respondents said that business rates was the single biggest issue affecting their business. The FSB and Camden Town Unlimited Business Improvement District are calling for the government to create an increased inner and outer London Small Business Rate Relief (SBRR) threshold. A new Government tool allows individuals in England and Wales who pay business rates to easily check their new draft rateable value, and, from this, get an estimate of what their business rates will be from April 2017. The Government’s Valuation Office Agency (VOA) recently revalued all 1.96 million non-domestic properties in England and Wales. These new rateable values are based on the rental value of properties on 1 April 2015, and will be used to calculate business rate bills from 1 April 2017. The news has been welcomed by business groups, but some have also raised concerns about the new system since certain businesses could face a significant hike in their rate. Mike Cherry, National Chairman of the Federation of Small Businesses (FSB), said: ‘This review has been delayed by two years and means small businesses have been paying rates based on 2008 valuations which are now out of date. Transitional relief plans recently announced by the Government include spreading the tapering over five years and having a new band for medium businesses. Tools for calculating business rates in Scotland and Northern Ireland can be found on the relevant Government websites. The Communities and Local Government Committee has stated that Government plans to permit councils to retain business rates must address issues with the appeals system. An interim report published by the Committee found that appeals by ratepayers have impacted significantly upon business rates revenue: local councils have had to set funds aside in case of successful appeals. In addition, growth incentives have also been affected by such appeals. The report proposes many options to resolve the problems generated by the appeals system, including handling appeals outside of the business rates retention system and providing separate funding for them. 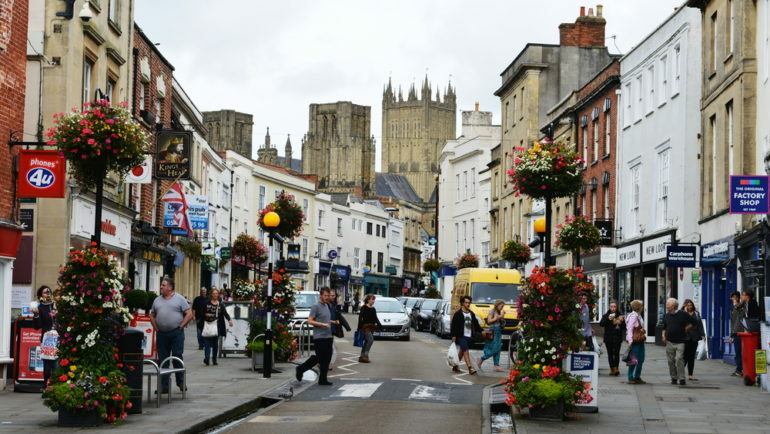 Commenting on the issue, Clive Betts MP, Chair of the Committee, said: ‘Our interim report has highlighted a host of issues regarding the reformed business rates system and we are calling on the Government to take these on board and work closely with local government to find the necessary solutions’. The Government unveiled plans to reform the business rates system during the 2015 Conservative Party Conference. Chancellor George Osborne stated at the time that such a reform would devolve power for over £26 billion of revenue to local councils. Authorities will have the power to choose the level that business rates are set at, enabling them to better compete with rivals. The Government plans to introduce the new business rates scheme by 2020.